Did you know that the average Australian spends 69 hours online each month?1 Extended Reach is your opportunity to reach a targeted commercial property audience, even when they’re not browsing on realcommercial.com.au. Increase the exposure of your brand by targeting commercial property seekers as they browse other websites. Your campaign will be delivered to a highly relevant commercial property audience who have recently searched on realcommercial.com.au, keeping your brand top of mind through exposure across high quality websites like news.com.au, Yahoo and Seek2. 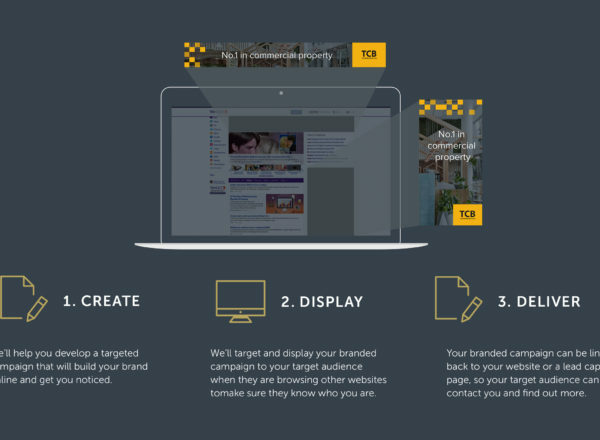 We’ll work with you to understand what you want to achieve from your branded campaign and create bespoke targeting options to help maximise your campaign performance. Your Extended Reach campaign will appear on a variety of third party websites that make their display advertising inventory available via an open advertisement exchange. These may change from time to time, and we don’t guarantee Extended Reach ads will appear on any particular website as displayed above.